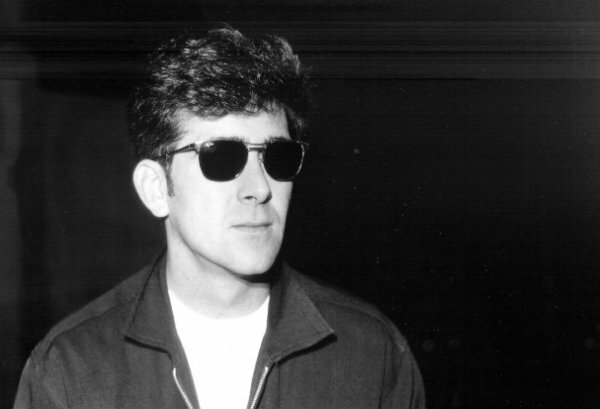 Tommy Keene, the influential singer-songwriter with a sharp ear for power-pop who emerged in the New Wave era and went on to work with admirers including R.E.M.’s Peter Buck, Paul Westerberg of The Replacements, and Guided By Voices’ Robert Pollard, died in his sleep Wednesday night, according to an obituary posted to his official website. He was 59. Keene “passed away unexpectedly, but peacefully” at his Los Angeles area home, according to his site. After playing guitar in a string of Washington, D.C.-area bands in the late ’70s and early ’80s, Keene released his solo debut, Strange Alliance, in 1982. He followed that up two years later with his breakthrough EP, Places That Are Gone, which made him a college radio staple, landed him on the Village Voice’s Pazz & Jop poll and earned him a deal with Geffen Records. Keene would go on to release albums through the ’90s and well into the 2000s. In the mid-90s, he toured with Velvet Crush, and joined Westerberg’s band during the Eventually era. He also worked with Pollard in a couple different projects after the initial breakup of GBV. Keene’s final studio album was 2015’s Laugh in the Dark, and he spent much of last year opening for Matthew Sweet. Below, check out some of Keene’s music — and see friends’ and fans’ reactions to his death. God, no. Hearing that Tommy Keene has died. Not just “on” the Pazz & Jop, ATOP it – #1 EP of the year. Tommy wrote what is arguably the best jangly rock song ever: Places That Are Gone. For a treat, track down Tommy’s fab cover of Carrie Anne on the Hollies tribute “Sing Hollies In Reverse” from 1995. A veritable who’s who of indie and jangle-pop all-stars on that record: Scott Miller, Mitch Easter, the Posies, Steve Wynn, Jon Brion, Continental Drifters … on and on. And Tommy Keene, RIP.